Aizawl, Aug 30 : Karnataka Chief Minister Jagadish Shettar has written to his Mizoram counterpart Lal Thanhawla assuring him of safety to the people of Northeast and Mizoram living in Bangalore, in the wake of the Northeast exodus. In a letter faxed to Lal Thanhawla today, Shettar assured that the security of the Northeast people and those of the neighbouring Bhutan and Nepal is one of the priorities of his government and that every possible measure has been taken to provide them safety. 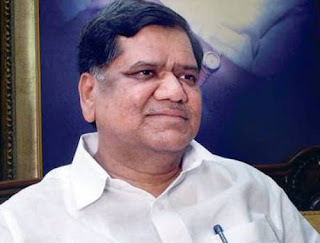 Informing Lal Thanhawla of the measures that his Karnataka government has taken in the wake of the SMS and MMS threats, Shettar said that his government became aware of the threat that the NE people would be attacked after the end of Ramazan on August 15. Swinging into action, the Karnataka CM sent his deputy, who also holds home portfolio and top police officials to the rail stations to stop the NE people from fleeing Bangalore and assured them full protection. The steps taken by Shettar included setting up telephone help lines for the NE people, deployment of RAF and CRPF troops at different strategic locations, meeting with various religious leaders and different NE organisations. The Karnataka police have registered 13 cases after complaints from NE residents and arrested six persons. The Karnataka police have been working round the clock to track the rumours mongers and to maintain law and order, Shettar told Lal Thanhawla.